In 1968, Paul Ehrlich wrote The Population Bomb, which argued that human population growth was the root cause of society's environmental problems. Written in just three weeks, the book was a modern redefinition of the Malthusian hypothesis . Curiously, Ehrlich never mentioned Malthus in his book. The Population Bomb became one of the best-selling environmental books of all time. Its main message was that continued population growth would place tremendous stress on natural resources and the environment. He predicted that, as a result, society would face war, famine, pestilence, and general calamity. Ehrlich asserted that only drastic governmental measures could curtail the impending disaster. He suggested a national Department of Population and Environment to police population growth and, in some instances, order mandatory sterilization. He expressed strong opposition to the antiabortion doctrines of the Catholic Church and the profit motive and aggressive consumption of the free enterprise economic system. The Population Bomb made Ehrlich a celebrity. His views found support largely from the academic community. Many others, including the Catholic Church and the African-American community, vehemently opposed his ideas and his drastic solutions that seemingly sought to curtail free choice. Despite the controversy, The Population Bomb succeeded in focusing attention on the important problem of human population growth. For example, in 2002 the global population is estimated at 6.2 billion people and, given established rates of growth, is expected to double in about fifty years. Most of this growth will be in the world's poorest countries. Ehrlich continued his studies of human ecology and wrote more than five hundred articles and books on the subject. He sustained his concerns regarding overpopulation, although his preference for draconian solutions diminished with time. 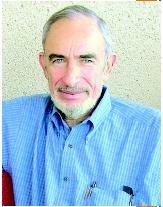 He has received numerous honorary university degrees and awards for his contributions to modern environmentalism. Ehrlich is a founder and Honorary President of Zero Population Growth, a nonprofit organization working to slow population growth and achieve a balance between Earth's people and Earth's resources. Since 1977, he has been Bing Professor of Population Studies at Stanford University. SEE ALSO M ALTHUS , T HOMAS R OBERT ; P OPULATION ; Z ERO P OPULATION G ROWTH . de Steiguer, Joseph E. (1997). The Age of Environmentalism. New York: McGraw-Hill. Ehrlich, Paul R. (1968; reprint 1997). The Population Bomb. Cutchogue, NY: Buccaneer Books.